A series of peer-reviewed papers released during the past 3 years have linked the consumption of beets to improved athletic performance, heart health an blood pressure measurements. The dietary nitrates contained in beet root are an activator of Nitric Oxide (N-O) in the body. This signaling molecule, is becoming increasingly recognized by both the medical and fitness communities for its numerous athletic benefits. So how can dietary nitrate supplementation help you as a rugby player? Here’s a brief synopsis of why nitrate powders are the next big thing for achieving maximum athletic performance in rugby players. We all know that rugby takes a huge toll on your body. Some measurements put the distance covered during the average game at over 8000m. While for amateur athletes this is probably a lot less, it does illustrate the endurance needs of the modern rugby player. Rugby isn’t just about big guys hitting each other. It’s also about moving around a big patch of grass to get into position for those collisions. Exogenous Nitrate supplements, taken in the form of dietary powders, have been shown to dramatically increase the capacity of endurance athletes by boosting the body’s measurable N-O Levels. 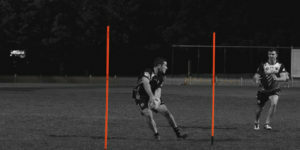 Since rugby has such a huge focus on athletic endurance, it stands to reason that nitrate supplements could potentially increase a rugby player’s endurance levels. There’s a lot of running involved in rugby. But there’s also a lot of lifting, turning, bending and twisting. And that’s even before you throw actual impacts with other players. We think about stamina as your body’s ability to sustain prolonged physical exertion. Your stamina is what will determine whether you can keep scrummaging in the 80th minute of a game, or change speed quickly in overtime to chase a kick. You know, all the fun stuff you need to do to win in the dying minutes of a rugby match. Studies performed on elite strength athletes have shown that powdered dietary nitrate supplements can maintain a lifter’s strength for longer periods of time. For rugby players, this means that dietary nitrate holds the promise of helping us scrum just as hard at the end of the game as we were at the start. Your body’s ability to regulate its energy consumption is a key indicator of both stamina and endurance. You know that feeling of being out of breath on the rugby field? That’s your body struggling with oxygen deprivation and failing to get nitrate to your muscles. Taking a rich nitrate supplement before rugby training or rugby games can help increase your body’s ability to deliver nitrate to working muscles. Having increased level of N-O in your body has a range of athletic and cardio-vascular benefits. The most notable is that it dilates blood vessels to help deliver more oxygen and nutrients to muscles and the cardiovascular system. Better circulation = greater athletic performance no matter whether you’re talking about strength, speed or endurance. This dilation and circulation improvement is where the energy efficiency benefits outlined above come from. When you see enhanced numbers of cellular mitochondria able to produce energy, you simultaneously get higher levels of oxygen utilization for energy production. Incidentally, there is also some research that shows L-Arginine supplements like the formula in our no2 booster can have similar nitric-oxide production benefits. Beet roots carry a huge amount of nitrate that can be metabolized into N-O. Many beet juice and beet supplement companies boast about their nitrate content – but nitrates alone don’t do the job. They must be properly metabolized in the body in order to produce nitric oxide. Using a patented drying processed, our friends at Neogenis can pack the N-O power of several beets in a concentrated convenient shot. Only about 5% of the nitrates from fresh beets and beet juice are converted in the body, the first step in nitric oxide production. And the process takes at least an hour. Nitrates have gotten a bad rap from their association with processed meat such as hot dogs or bacon. But all nitrates are not created equal. Dietary nitrates from whole foods are naturally occurring, and when consumed as part of a healthy diet, are converted into a critical metabolic signaling molecule: nitric oxide. First identified in 1998, nitric oxide is now considered part of a healthy circulatory system. For athletes, healthy circulation is essential for better performance and endurance. Based on a solid foundation of peer-reviewed scientific research, our no2 supplements may provide one the most effective ways to help increase your body’s available No2.